Make the most of your vacation at our new hotel in Oregon, WI. Amenities include free WiFi, free hot breakfast, meeting space, a fitness center and an indoor heated pool. Guest rooms feature refrigerators and microwaves, premium bedding, work desks, flat-screen TVs and coffee makers. 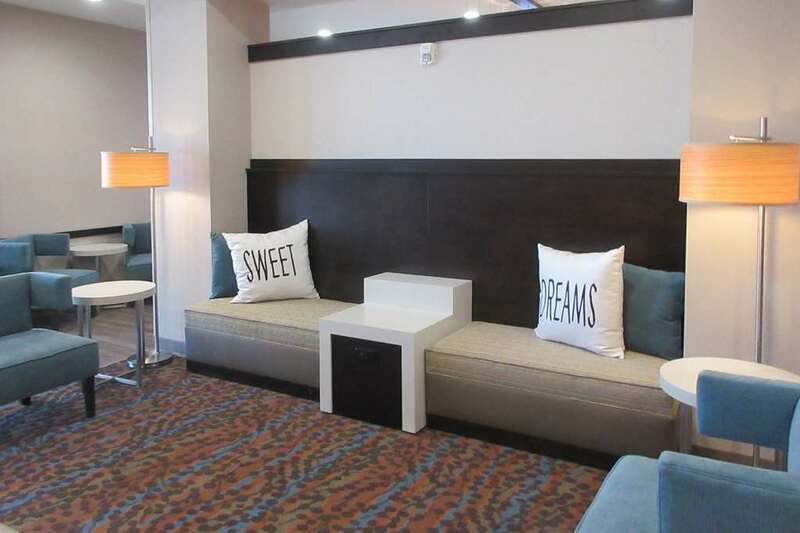 Our Sleep Inn and Suites hotel offers easy access to a variety of local attractions, including the Foxboro Golf Club, Legend at Bergamont, Stoughton Wellness Center and Athletic Center, Madison International Speedway and the Oregon Ice Arena. Whether you are traveling for business or leisure, our hotel in Oregon, WI offers a simply stylish sanctuary where you can unwind. And do not forget that you can earn rewards, including free nights and gift cards, with our Choice Privileges Rewards program. Pets allowed 20.00 USD per pet, per night. Max 50 lbs, 1 pet per room.